This is one of Lee’s favourite photographs of LM. She was two years old and we were on a camping holiday in Devon. One of the highlights of our trip was to a hedgehog hospital. For the life of me I can’t remember the name of the place though! 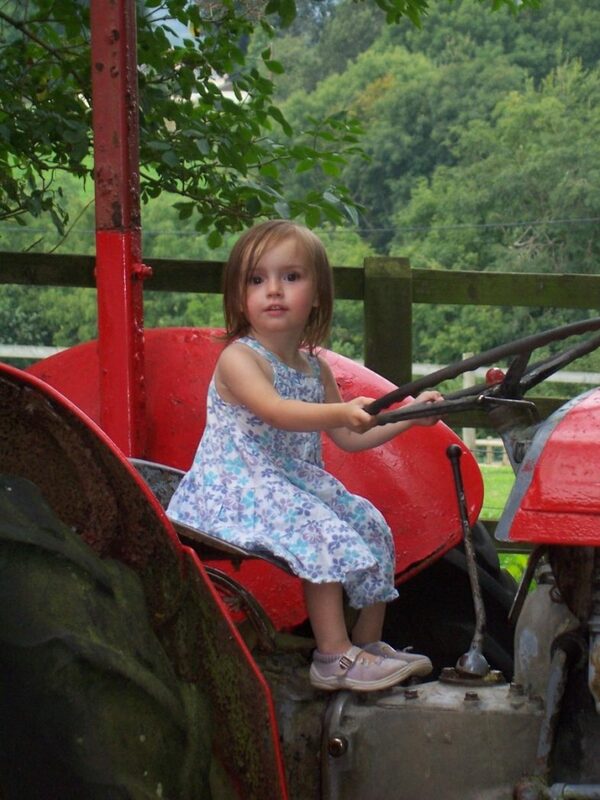 There were farm animals, hedgehogs, a trampoline and little ride on tractors and yet LM wanted to spend all her time on this big red tractor. The one thing that makes me smile the most is the shoes she’s wearing. They are a pair of Clarks Doodles and she wore them for the entire summer, which we were blessed with sunny weather throughout. Her feet bore the half circle tan mark for years and years. I swear even if you look at her feet now, almost a decade later, you would still see the faint outline! I’d love to find out the name of this hedgehog hospital. Does the red tractor look familiar to you? Oh my goodness LM is your mini-me Katie! She looks so angelic in this picture, it’s easy to see why it’s one of your husband’s favourite pictures. And I love the added shoe story, lets hope the line never truly fades.